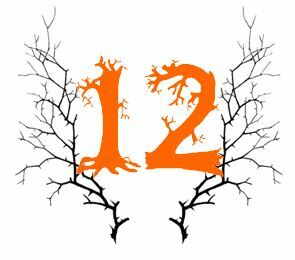 A few years ago, the outstanding children’s novelist Marcus Sedgwick published ‘The Book of Dead Days’, a gothic fantasy set in those fallow days between Christmas and New Year: “a strange, a quiet interlude, somehow outside the rest of the year, outside time itself” where spirits roam. In Norway, they call this time ‘Romjul’ – in the UK, we have no word for it, but know it as that awful hiatus as the shiny excitement of Christmas rapidly fades, the tinsel begins to droop, and the reality of a cold January comes upon us. Tim Key has coined a term for those days – he calls it ‘the perineum’ and vividly explains in this article what your options are for surviving it: panto, shopping, reading an unwanted Christmas gift, fighting through the hordes at the Boxing Day sales. The likelihood is that you are trapped in your house with an assortment of family members, many of whom you don’t see from one Christmas (or wedding, or funeral) to the next and who you’d rather gladly never see again. If so, you may want to find a board game to while away the hours until the next buffet lunch, where you can reasonably drown the tedium in sausage rolls. 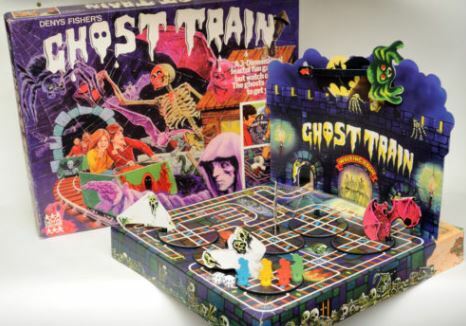 You may have, lurking in your attic, a board game that’s perfect for the ghostly household this Christmas. 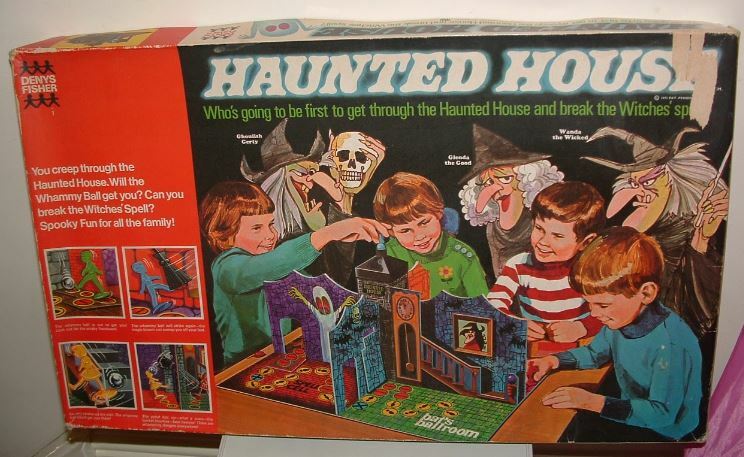 In 1971, the toymaking firm Denys Price adapted the US game ‘Which Witch’ for the UK market and came up with ‘Haunted House’. A bit ‘on the nose’ as a name, you may think, but there’s nothing subtle about this game – even the artwork screams of its ghoulish charms. The aim of the game? Travel through the Haunted House and reach the charmed circle at the top of the stairs, but watch out when the Whammy Ball is dropped down the chimney! (visit The Cobwebbed Room to see more pictures of the game). Not scary enough for those turkey-stuffed relatives? Then bring out the big guns – ‘Ghost Train’ will really get them jumping in fear. The perfect game to make the dead days fly by.